Why don't they stay young?" I am no doubt a sunset-person. I love this shifting moment of the day when everything changes. 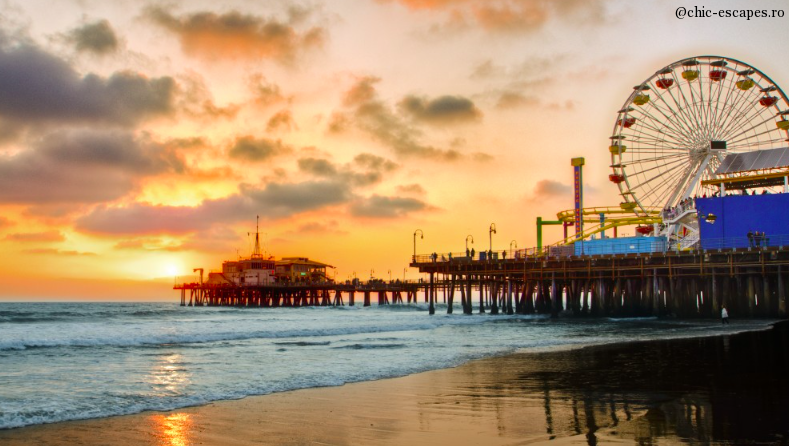 While visiting Los Angeles, I couldn't have missed a perfect sunset over Santa Monica Pier. 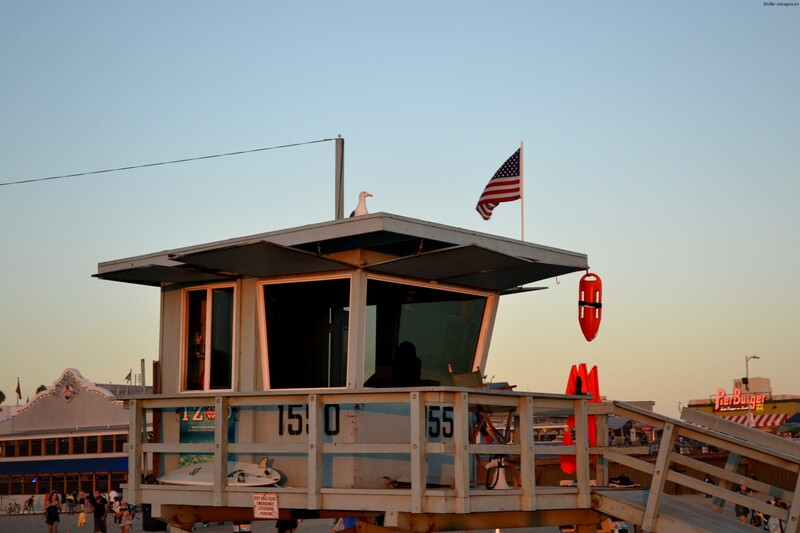 Anyway the piers are quite popular all over Southern California, and there are piers spread all over the Pacific Coast, in Santa Monica, in Long Beach, in Sunset Beach, Malibu, etc. 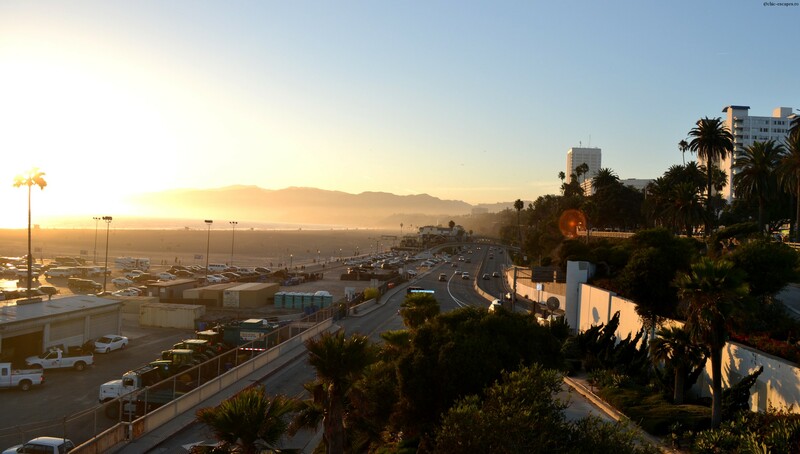 The most famous one is clearly the one in Santa Monica, where a huge, very touristic amusement park was built: Pacific Park with a huge Ferry Wheel. The area is very crowded, full of street artists, music, food, dancing and tourists from all over the world. 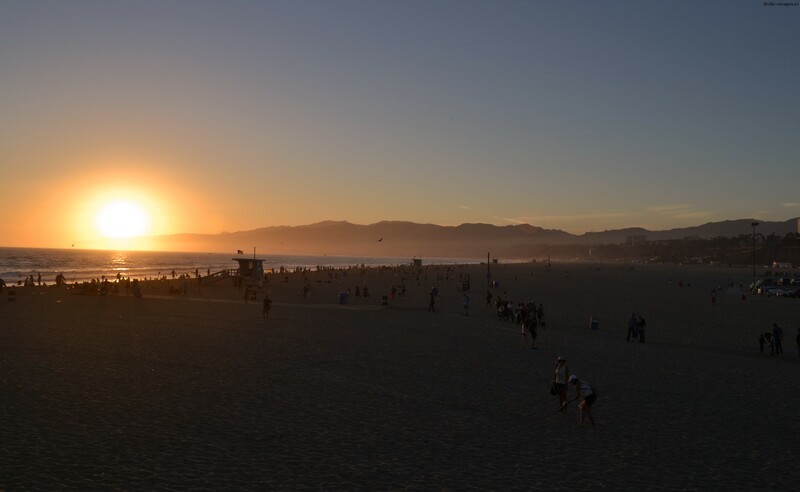 I walked down to Santa Monica and enjoyed the sunset several times. The images are movie-like-indeed. The Pacific is rushing agitated into the shore, playing its perfect part in this famous movie scene. 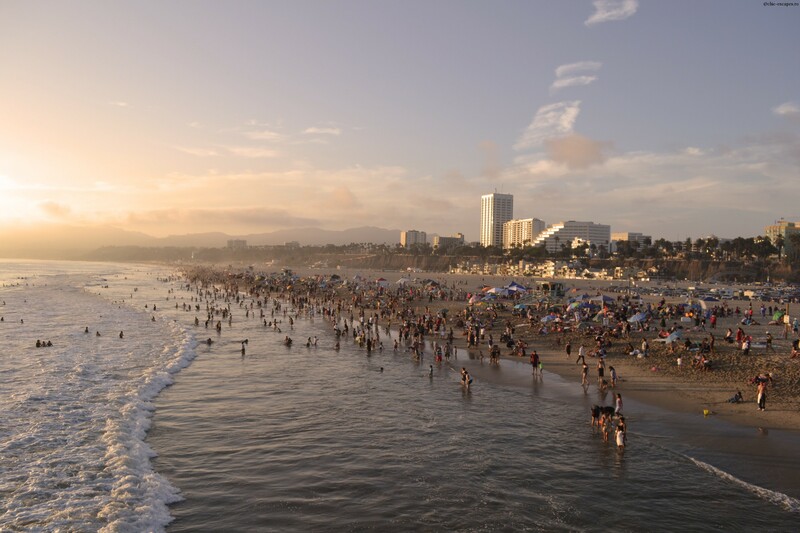 Even at sunset, the beach is still crowded. As the sun goes down, in a few minutes, the colors change, in a desperate attempt to bring calm and serenity over the area. But it doesn't. Santa Monica is still very lively, an ongoing movie scene, ignoring its director. 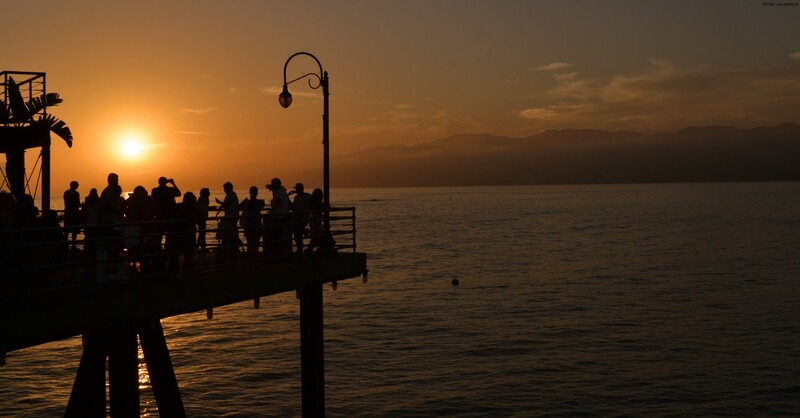 Only far away, on the top of the Pier, you can enjoy a peaceful moment. They created a special area, where no music can be heard, where street artists are not allowed to sing during sunset. People actually listen to music, but they have headphones. People gather there and everyone can experience the sunset in a very personal way. For me, the silence is important. Sunset is all about silence. You cannot speak or listen to music while being part of such unique moment. I understand why Egyptians considered the Sun their Creator God. Sun rising and sun setting is the very essence of life, after all. For me, sunset is all about time and life ephemerality ( yes, I have an obsession, indulge me). It's a glorious, red-orange-purple spectacle that the sun sets up every single day for us. But do we see it? Do we even have the time to understand that everything is already behind? Do we look forward for tomorrow? Do we understand the power of every sunset? The chance for tomorrow, the promise, the hope, the joy...? It's an ending, it's a beginning in the same time. Every day, every week, as a constant reminder..there is hope, there will be light. Tomorrow! Iubesc apusurile. Mai mult decat rasariturile. Asa a fost dintotdeauna. In fiecare calatorie, descopar noi locuri spectaculoase, unde apusul devine un spectacol in sine. In Los Angeles, apusurile din filme se intampla in Santa Monica. Oricum pontoanele sunt destul de populare pe coasta de Sud a Californiei. Sunt construite aproape pe fiecare plaja, in Long beach, Sunset beach, Malibu, etc. Cel mai faimos ponton este clar cel din Santa Monica, acolo unde se termina si celebrul Route 66. Pontonul din Santa Monica, aduna clar turistii din intreaga lume. E locul cel mai aglomerat, zgomotos, plini de localnici care alearga, de turisti, de artisti care danseaza, canta. Pe pontonul din Santa Monica s-a construit un urias parc de distractii, Pacific Park, cu o uriasa roata. Mi-am petrecut cateva seri in Santa Monica, admirand apusul si multimea de turisti frematand. 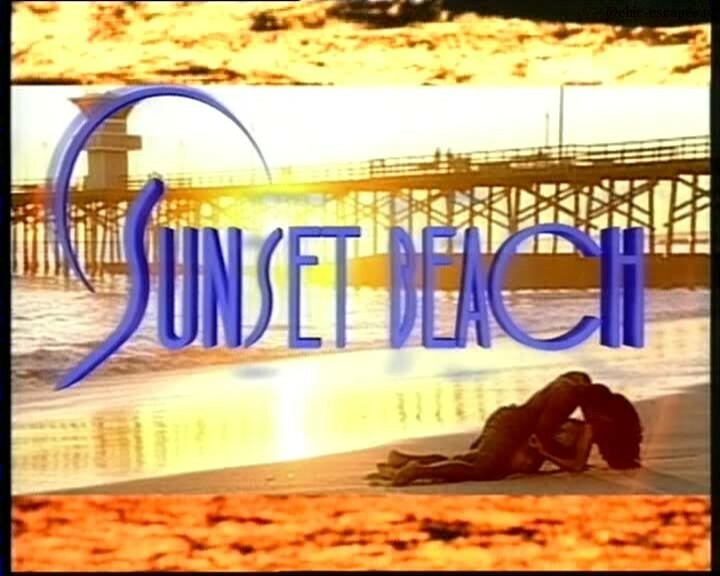 Imaginile sunt intr-adevar desprinse din filme (probabil fiindca le-am si vazut in filme:) Lumina se schimba treptat, oceanul Pacific devine furios si izbeste temperamental plaja din Santa Monica. La orele apusului, plaja e inca foarte populata. Agitatia si zgomotul nu inceateaza in lumina difuza a soarelui ce se ascunde parca in ocean. Soarele pare un regizor ce striga finalul scenei, intr-o incercare disperata sa aduca linistea si calmul, scaldand totul in lumini colorate si ceata. Insa pe plaja din Santa Monica actiunea continua, fiecare isi joaca rolul in continuare. Te poti bucura de apus si de momente de liniste, (din fericire), departe, tocmai in capatul pontonului, acolo unde autoritatile au construit o zona unde nu se aude muzica, unde artistii nu au voie sa cante in acele cateva minute magice cat dureaza apusul. Mi-a placut ideea. Sunt multi tineri care danseaza, asculta muzica, insa au niste casti speciale, astfel incat nu deranjeaza alti oameni, care poate doresc liniste. Astfel fiecare isi "traieste" propriul apus, intr-o maniera cat se poate de personala. Eu, de exemplu iubesc linistea. Apusul insemna liniste. E un moment magic, in care nu poti vorbi, de teama sa nu deranjezi. Inteleg adoratia egiptenilor pentru zeul creator, Soarele. Nu el e pana la urma esenta vietii, fiecare rasarit, fiecare apus. Pentru mine apusul inseamna timp, efemeritate. E un spectacol glorios, in culori vibrante pe care soarele il pune in scena, zi de zi. Doar are noi il intelegem? Avem oare timp macar sa il observam? Stim oare ce lasam in spate in fiecare zi? Asteptam ziua ce va veni? Intelegem puterea magica a fiecarui apus? Speranta ca va exista un maine, promisiunea unui nou inceput? E un inceput si un sfarsit, in acelasi timp. In fiecare zi, in fiecare luna, repetitiv, constant, un memento: Exista speranta. Va fi lumina. Maine! 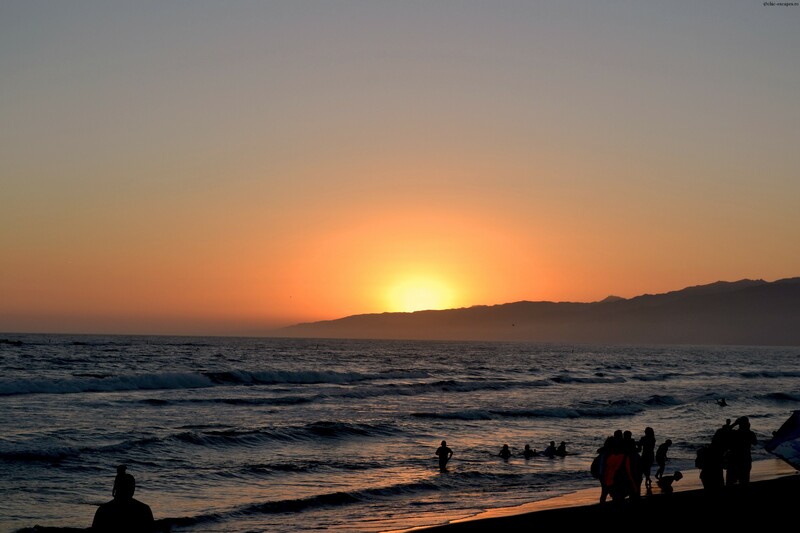 Thanks for finally writing about >Santa Monica Pier: Sunset is still my favourite color <Loved it!